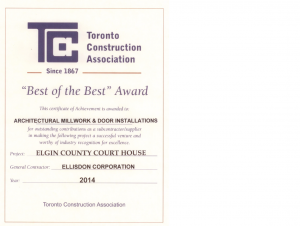 AMDI has been a loyal and valued Partner of Ellis Don's having successfully completed a number of our projects, both large and small, in and around the SW Ontario region. I've worked with AMDI on hospital job sites for over 10 years. 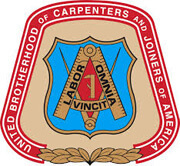 For doors, millwork, architectural items, or any finish carpentry work, AMDI has some of the best trades people in the business, and management that will partner together to meet the project goals. You will be happy to hear the comments from more than 550 visitors were very complimentary.Everyone was impressed with the renovations. You and your employees made a big contribution to our beautiful new building. We have publicly thanked you and want you to personally know that we are grateful for your good work. It is an absolute pleasure to work with a firm that is this organized. Your contact info is going into my little book of A+ trades that I will work with in the future. Thank you again for your help with production. I want to personally thank AMDI for all of their help. Each and every individual was a pleasure to work with and held a high level of professionalism. On behalf of the Carpenters District Council of Ontario Executive and the members of the Carpenters Union in Ontario I wish to congratulate you and your team on winning a 2009 Woodwork Award for the Institutional Wood Design Transformation AGO. Our members are proud to have contributed their skills to the success of this remarkable and challenging project. I am glad to see this excellent project recognized in this manner.